They can handle the heat, so they test their skills in the kitchen. 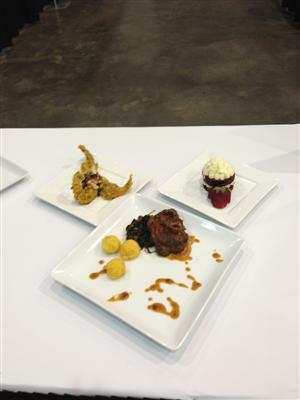 Curry-crusted Gulf shrimp, braised pork and red velvet pan cakes won four high school students a trip to a national cooking competition in Baltimore, Md. thanks to the ProStart program, an educational opportunity teaching students real-world culinary skills. were led by Patricia Johnson. They had 60 minutes to complete a three-course meal for the hungry judges, while jealous spectators simply watched. 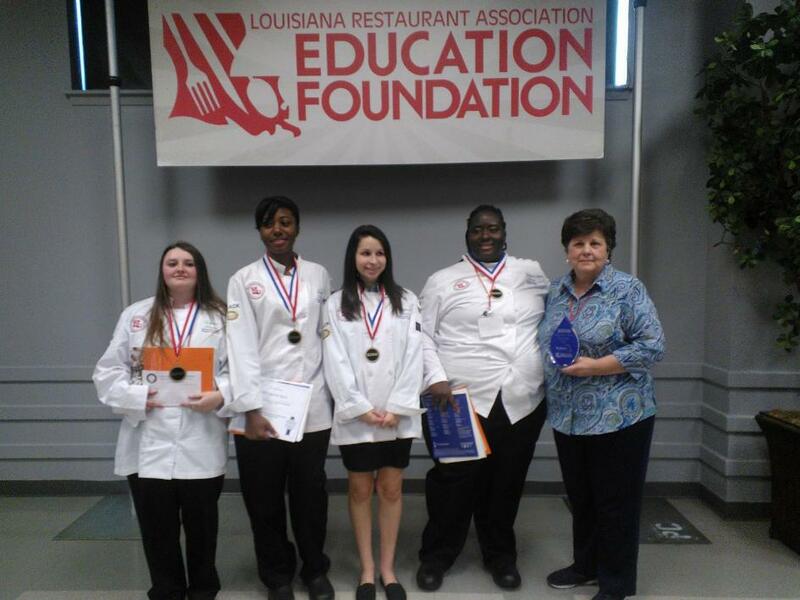 ProStart, a part of Louisiana Restaurant Association Education Foundation, is taught at more than 40 schools across Louisiana. Schools can sign up to be involved. Coming together to compete, students from 19 schools flaunted their culinary masterpieces in a heated statewide competition. Students Jacquita Jolley, Julia LaSalle, Edna Phares and Chantal Quillen won Hammond High Magnet School’s sixth consecutive win by preparing a three-course meal in 60 minutes. Johnson said the ProStart curriculum is a two-year commitment, so it is not for everyone. However, she adds that it’s too great of an opportunity to pass up for some food-minded students because it offers them a door into a real-world kitchen. “I think it has given them a sense of accomplishment and opportunity to do something that they would not normally do,” Johnson said. The educational program is more than just for the students; ProStart is for the Louisiana community, LRAEF Executive Director Alice Glenn said. Carrying out these traditions is no easy task for these teen chefs. They meet regularly to practice their mincing and dicing, to learn safety procedures and to prepare the menu for the competition. Students were docked points if they were late presented their meals to the judges. Many students rushed steadily to set their creations down, Glenn said. The competition requires students to hone their skills in cutlery. 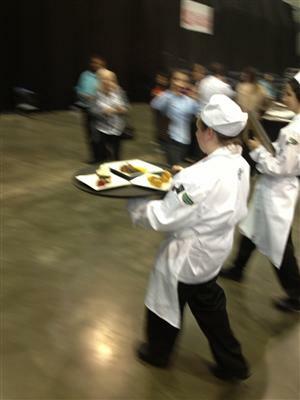 Judges docked points if the chefs touched their faces or hair while cooking, or leaving their work-station untidy, ProStart reported on their website. These points add up when scholarships are on the line. Competing students crafted gourmet three-course meals to win a share of $872,000 in culinary scholarship dollars and the attention of the National Restaurant Association Education Foundation, the foundation reported. The attention can be beneficial to students, seeing how critical the food industry is to Louisiana. The restaurant industry provides 200,000 jobs, and the businesses are expected to generate sales of $6.8 billion in 2013, a statement reported by Louisiana Restaurant Association said. The ProStart program was designed to challenge and encourage students’ interest in culinary arts. It allows students the skill set necessary to go straight into the food industry, Glenn said. From converting a recipe to serve hundreds to understanding the chemistry behind cooking, Glenn said the lessons taught in ProStart crossover to other areas in school, like math and science. Hammond’s awarded creations was curry crusted jumbo Anna Maria Gulf Shrimp, Mardi Gras slaw, pepper bacon and Creole cane sauce with jumbo lump Louisiana crab; entrée-braised pork “Osso Bucco” and dessert-Red Velvet pan “cakes,” with cream cheese icing garnished with a strawberry, ProStart program reported. 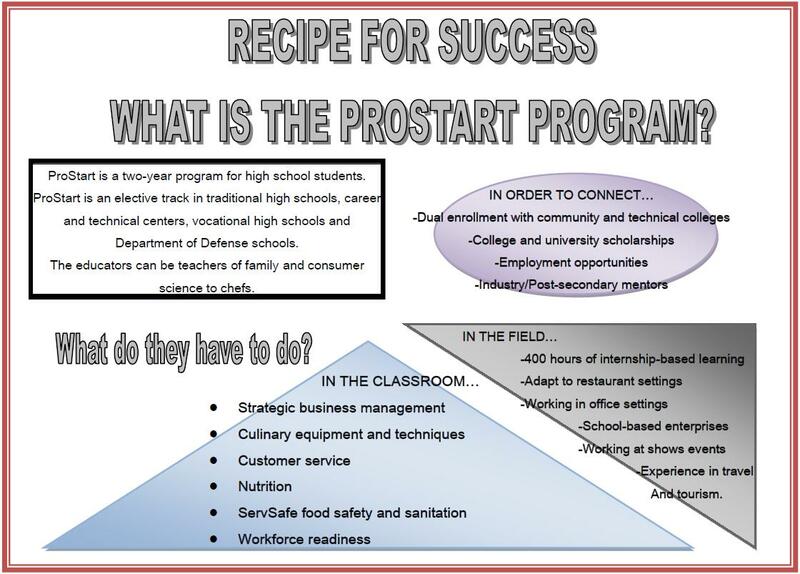 ProStart is one example of increasing coalitions between schools and the outside workforce. Superintendent Dr. Bernard Taylor said in an interview with Baton Rouge Business Report that creating relationships with local businesses is a main goal for him to improve East Baton Rouge Parish school system. “These are interest areas that our students have, but these interest areas also coincide with the future economic development…in the Greater Baton Rouge area,” Taylor said. And, this development may involve more females in the industry. Glenn said she was excited to see so more women involved in ProStart, cooking their way into Louisiana’s food industry. “You don’t currently see a whole lot of women in leadership positions in our industry whether it’s in the kitchen or owners and operators,” Glenn said. Hammond High Magnet School’s winning team happened to be made of 4 young women. Tags: hammand high magnet school, ProStart, restaurant, teens. Bookmark the permalink.